Two double bedroom apartment in the heart of Newport with restaurants, shops and cafes all at your doorstep. 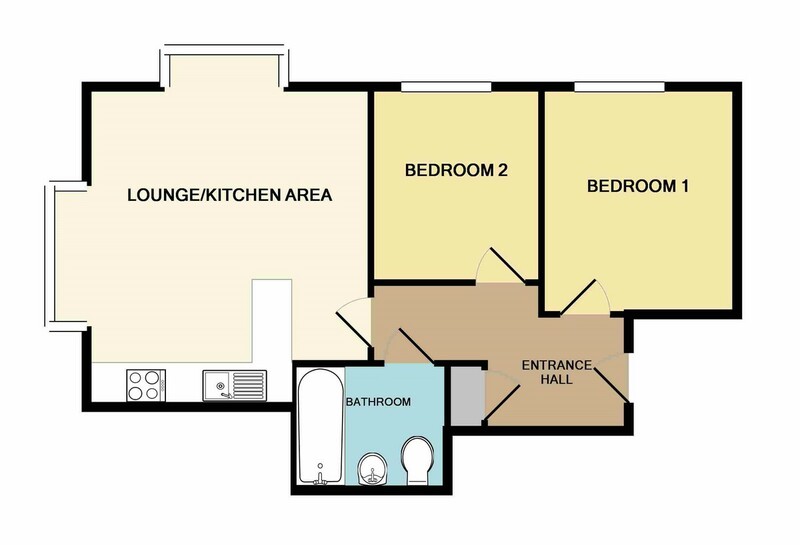 The apartment offers an open plan lounge/kitchen, gas central heating, double glazing and a security entry phone system. AGENTS COMMENTS Unlock the front door and enter this modern, light and spacious apartment. The entrance hall is a good size and houses storage cupboard for packing away the hoover and ironing board. The open plan lounge and kitchen is modern and the sun streams through the large bay windows, giving views from two different sides of the building. The modern kitchen units can hold your ingredients for a special dinner and you have space for your fridge and washing machine. The bathroom is fully tiled and has a rain forest shower over the bath. The two bedrooms are double rooms and even have sky socket ready! The security entry phone system allows you to let your visitors in without having to walk down the stairs. The apartment is clean, warm and inviting as there are nice carpets throughout and is warmed by gas central heating. Being located centrally in Newport, you have a very short walk to the supermarket as it is opposite, as well as the array of shops, cafes and bars. You don't need to drive as everything Is on your doorstep, even the bus station to get around the Island.